Join At Home in Louisville Real Estate Group this Sunday October 2nd from 2-4pm at one of these lovely homes for sale! 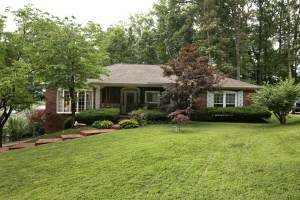 7510 Manslick is a wonderful 3 Bedroom 2 1/2 Bath Ranch in Rudgate Woods. 1202 Heritage Pl is a 3 Bedroom, 3 Bath in Heritage Estates. We'd love to allow you to tour these beautiful homes. Call 502-371-1173 for property information or visit with us this Sunday for the Open Houses in Louisville! Directions: Palatka Rd to S on Manslick. Directions: Palatka Rd to S on Manslick to Street. 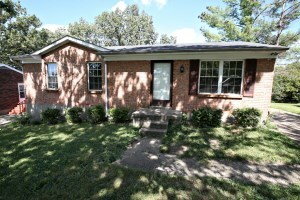 2511 Coronet Dr, Louisville, KY 40216 is a fantastic move in ready three Bedroom ranch. The property features attractive landscaping, fresh paint throughout, and a variety of updates. 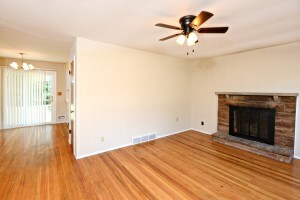 The Living Room offers plenty of natural light with a wood burning fireplace & hardwood floor. 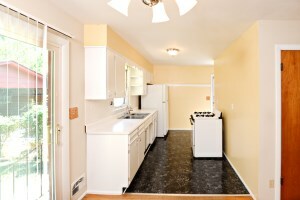 The Kitchen has freshly painted cabinets with replacement hardware, newer flooring, and a double sink. The Dining Area is roomy with access to the back yard. The three bedrooms are good sized with hardwood flooring and positioned conveniently to the Full Bath with newer toilet & vanity. 2511 Coronet Dr, Louisville, KY 40216 includes a partially finished basement with a Family Room, Laundry, & storage space. The back yard is fully fenced. The property also includes a 2 1/2 car detached garage. Several notable updates include replacement ceiling fans & light fixtures throughout the first level and insulation added to the Dining Room & Living Room. Call 502-371-1173 today to schedule a showing or for further details on this piece of Louisville Real Estate. 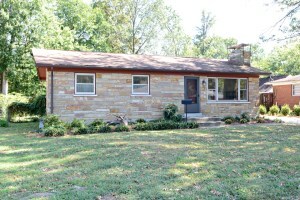 1215 Woodcreek Dr, La Grange, KY is a wonderful & spacious Ranch style home in LaGrange, KY. The home offers three Bedrooms and two Full Baths with newer hardwood flooring that flows throughout the Family Room, Kitchen, & Hallway. New owners will appreciate the neutral colors throughout. The Family Room is lovely with plenty of natural lighting. 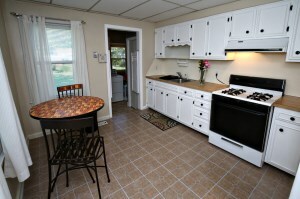 The Kitchen includes a double sink & sliding glass door to the back deck. The Master Bedroom is good sized with attached Master Bathroom. The floor plan also includes two additional Bedrooms & a Full Bath. 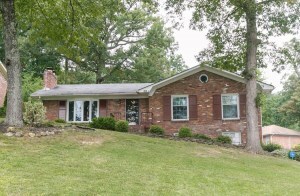 1215 Woodcreek Dr, La Grange, KY has an inviting grassy yard as well as a back deck for outdoor enjoyment. The property also includes a 10 X 10 storage shed. For more information about this home for sale in Louisville, call 502-371-1173 today! At Home In Louisville Real Estate Group will be hosting an Open Houses this Sunday September 25th from 2-4. Come out and view our listing at 7304 Lora Dr. It is a lovely 4 bedroom home with an unfinished basement and a 2 car garage. We will also hold open at our new listing at 2511 Coronet Dr. This is a great 3 Bedroom Move in Ready Ranch. Call 502-371-1173 for more information about either of these wonderful homes for sale in Louisville, KY. 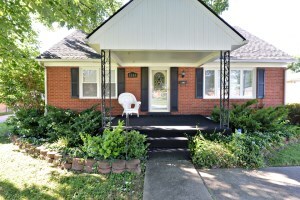 Directions: I-264 West to New Cut, South on New Cut to Southside Dr, Left on Southside to Lillian Way, R on Lillian to Lora Dr.
707 Gheens Ave, Louisville, KY 40214 is a wonderful Bungalow with two beds and one full bath. The landscaped exterior & front porch entry provide pleasant curb appeal. 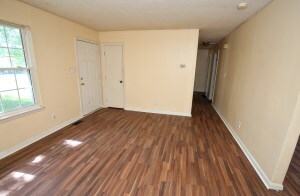 Enter to the Living Room with hardwood flooring & neutral walls. 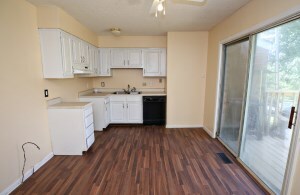 The Kitchen offers newer flooring, adequate cabinetry, & a double sink. 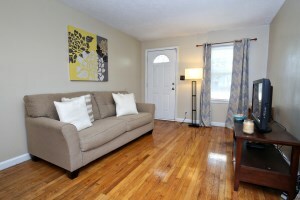 The home also features two bedrooms with hardwood flooring as well as a Full Bath with updated tiling & flooring. A laundry room completes the floor plan. 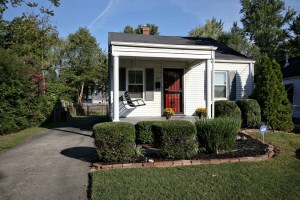 New owners of 707 Gheens Ave, Louisville, KY 40214 will love the fully fenced back yard with a relaxing deck for outdoor entertainment as well as a storage shed! Call 502-371-1173 for more information about this fantastic home in Louisville! At Home In Louisville Real Estate Group will host an Open House this Sunday September 18th from 2-4 at our new listing on Gheens Ave. Join us and take a tour of this two bedroom, one full bath bungalow! This home offers a great opportunity for new owners with its move in ready interior, fenced in yard, & relaxing front porch. For more information about the property call 502-371-1173 or continue to view the site to see all Open Houses in Louisville, KY this weekend! At Home in Louisville Real Estate Group will be hosting two open houses this weekend! Join us this Sunday September 11th 2016 from 2-4 at these fantastic properties & take a tour! The Model Home at Dorsey Pointe will be open on Sunday from 2-4. Only 3 units remain! You'll fall in love with the spacious interiors, custom finishes, & great location! We will also be hosting an Open House at 7304 Lora Drive, a four bedroom home with two car garage in Merlyn Acres! Browse our Open Houses in Louisville page to view a comprehensive list of all upcoming Open Houses in the Louisville area! Call 502-371-1173 for more information. Directions: Shelbyville Rd to Dorsey Ln to Street. 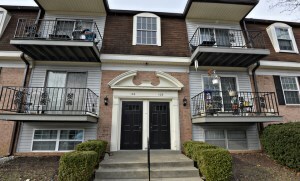 106 Algiers Ct 8, Louisville, KY 40218 is a wonderful condo for sale in Mansard House. 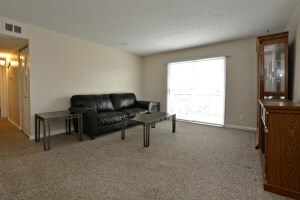 The unit is completely move in ready and offers two full Bedrooms and two Full Baths! There is over 1000 squre feet of living space all on one level. You'll love the neutral decor throughout & natural lighting. The lovely Living Room is open to the Dining Area with chandelier fixture & decorative chair rail. 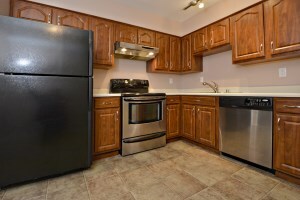 The Kitchen is pleasant with plenty of cabinet space & attractive appliances. THe Master Bedroom is large with its own private Master Bath & a walk in closet. The second Bedroom is convenient to the Full Bath. A stacked washer/dryer completes the layout. Outside of 106 Algiers Ct 8, Louisville, KY 40218 you'll find a relaxing patio which provides a great spot for outdoor enjoyment. Mansard House is a fantastic community to live in with a clubhouse, fitness room, playground, and pool available to residents. Parking spots are not assigned but owners enjoy a convenient spot by the front door as well as another in the lot. Mansard house also permits pets under twenty five pounds. Make this your new home! Call 502-371-1173 for more information about this great home in Louisville! Pam Hawkins at Keller-Williams Louisville East is the best!!! If we're ever in need of a realtor we will go through the same company & definitely request Pam to help us find our perfect home.